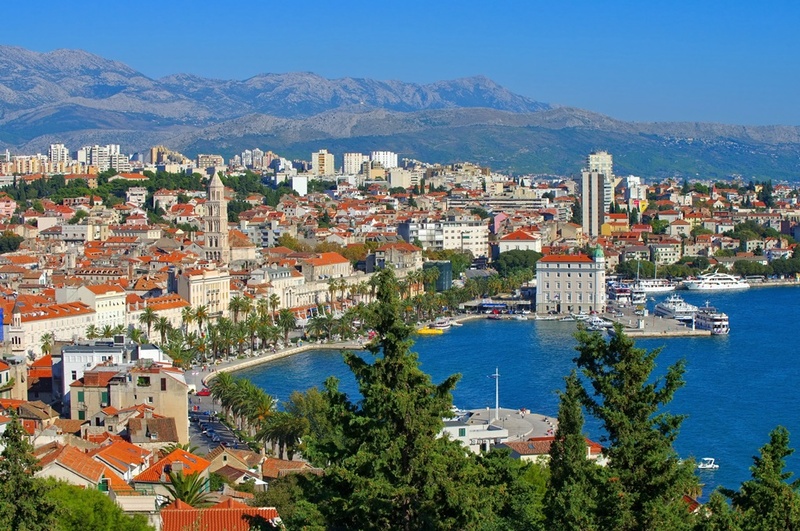 Getting from Zagreb to Split and vice versa is the most common route in Croatia since it connects the two biggest cities of the country, also connecting continental and coastal region. It is good to know the travelling options before your trip, so here is the detailed plan of travelling by each mean of transport. Driving from Zagreb to Split and vice versa became easier and quicker since the construction of highway route, also called ‘Europe’s most beautiful highway’, via which the ride takes around 3-4 hours, depending on the traffic. You enter the A1 motorway in Zagreb where you pick up a ticket and exit in Dugopolje (20 minutes away from Split) where you pay the toll fee which is 181 HRK or 24 € (2019) for a regular car (check pricelist for other vehicles). Also, we suggest you double check this list if travelling in July and August because the prices can be a bit higher during the peak tourist season. There are many stops on the way, but the most famous one is called Macola, there you can take a break and refuel yourself. NOTE: Sometimes, due to the bad weather conditions such as strong wind bura, some sections of the highway may be closed meaning you would need to get off the highway and continue using the local roads being able to join the A1 again near Zadar. Also, during the peak season, prepare for the long queues at Sveti Rok, so you might consider the option below if travelling during that period. There is also an option which avoids A1 motorway by going via D1 route, in that case you travel via local roads which makes a ride much longer, up to 6 hours. Still, this route is often used in case you want to stop to visit Plitvice lakes, which is very common while travelling on a relation Zagreb – Split. So, if you have some extra time, we suggest you visit this biggest attraction of the country (more sites in the section ‘Things to do or visit on the way to Split’). NOTE: As already stated, very little number of people uses this road since the A1 motorway, so when the season hits, this route can be even quicker than the highway. If you don’t have your own vehicle, travelling from Zagreb to Split and vice versa is most commonly done by bus because it is the easiest way and relatively fast. There are almost 40 departures from Zagreb to Split including several night buses and nearly the same number of departures from Split to Zagreb. Due to many departures, prices can vary but if you buy the ticket on time, you can find it for around 10€. Buses from Zagreb depart from Zagreb main bus station which is located around 3 kilometers from the city center, approximately 10 minutes drive. Buses from Split depart from Split main bus station which is located in the city center, right next to the ferry port and train station. Approximate travelling time is 5 to 8 hours depending on the route. Some buses go straight via A1 motorway stopping once for about 20 minutes, the other ones either combine the old roads (in order to stop in certain places) and highway or completely go via local roads. If you want a bus to Plitvice, just search for the one which doesn’t go straight via highway and has Plitvice lakes as a stop on their route. Train is another option to get from Zagreb to Split and vice versa. There are several departures per day of which there are daytime trains with the travelling duration of approx. 6 hours, the other ones are overnight trains with a travelling duration of 8 hours. The price of a one-way ticket is usually double the price of a bus, but the company often runs campaign offers, so booking in advance can save you a lot of money. If you possess Eurail pass and it includes Croatia, you are able to use it on this route. Trains from Zagreb depart from Zagreb main railway station (Zagreb Glavni kolodvor) which is located 1 kilometer from the center (main square). Trains from Split depart from Split main railway station located in the city center, right next to the main bus station and ferry port. 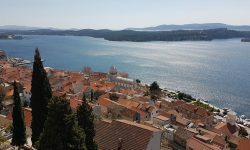 It is also possible to travel by plane between these two cities and you can find daily direct flights operated by Croatia Airlines company. There are several departures per day. The prices can really vary and the best thing is to check the desired date on time and book your tickets in advance as it can make your trip unbelievably cheap due to often campaign offers by the company. Travel time is 45 minutes but you need to include the ride to and from the airports which is +30 minutes in case of both airports. Also, check-in, waiting for luggage and other parts of the usual procedure at the airport need to be counted in. If you don’t have your own car, you can rent one at numerous car rental offices in Zagreb such as Sixt, Europcar, Nova or Enterprise. Car renting is also possible directly at Zagreb Airport. However, if you want to avoid queues and use the most out of your vacation, we recommend booking your car online. 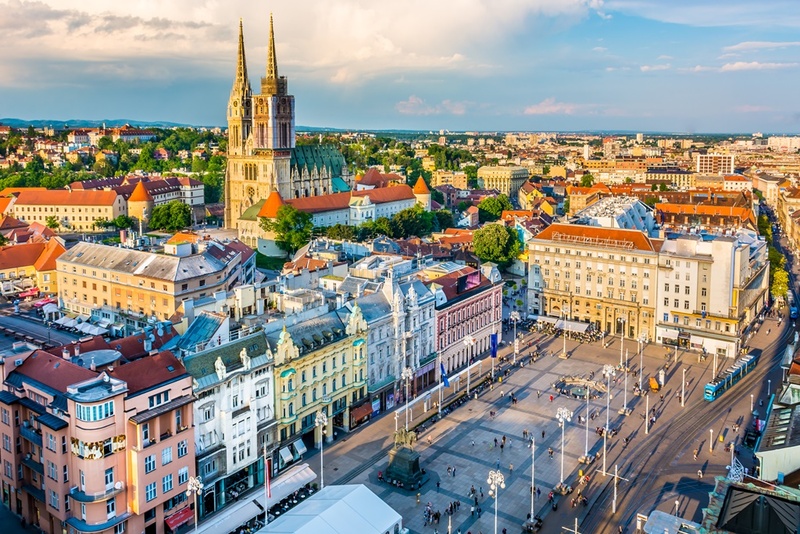 You can choose between several pick-up points in Zagreb and most of them can be found in Zagreb Downtown. Hiring a private transfer from Zagreb to Split is also an option, especially if travelling in a group. Booking a vehicle for 8 people can cost 440€ and you don’t have to think about departure schedules, paying highway fee, fuel etc. Also, you can choose any meeting point or even get picked up directly at the airport. National Park Plitvice Lakes is obviously the most common and attractive stop on the way, we advise you not to miss this incredible site. Tesla’s birthplace is in Lika region, the place near Gospic called Smiljan. There you will find a Memorial Center dedicated to this great scientist. 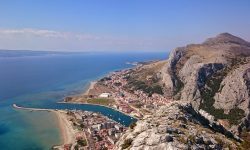 After passing the tunnel Sveti Rok on the highway, get off the road and follow the signs for National Park Paklenica, you can go all the way to the sea and hiking lovers can hike up the mountain. Magical, charming city of Zadar lies nearly halfway between Zagreb and Split, discover the most amazing sunset and famous Sea Organs. Another common stop along the A1 route is National Park Krka, standing side by side to Plitvice lakes when talking about tourism of Croatia. Historically and culturally rich city of Sinj is just 30 minutes away from Split, definitely visit Sinj Alka Museum. Game of Thrones fans will adore this one, Meereen or Klis Fortress in reality is overlooking the city of Split, just 15 minutes away from it.